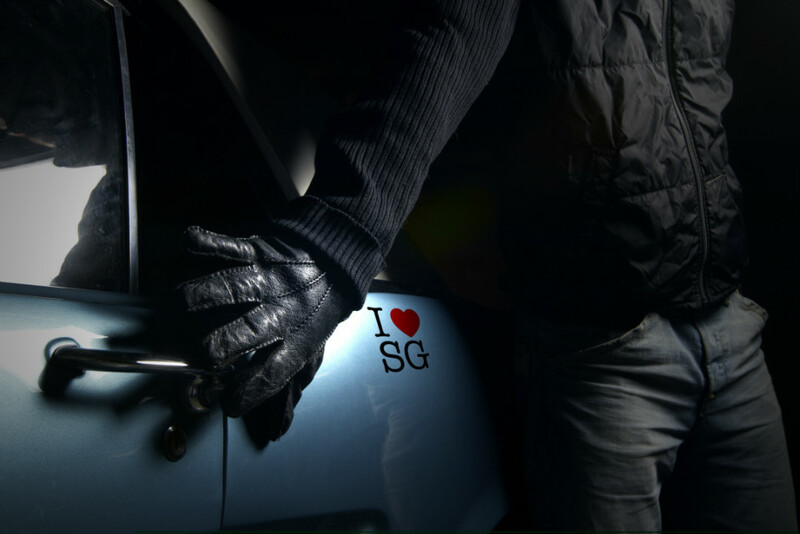 In Singapore, the rate of car stolen is 1 car stolen every 4 days while In Malaysia, 150 vehicles are stolen in Malaysia daily. With Silent Car Alarm, you will automatically receive an alert (by SMS or email) if your car is stolen anywhere in Singapore and West Malaysia. You can then track the car whereabouts real-time and use your mobile-phone to stop the car. Getting your stolen car back is not easy. Owners who have experienced car thefts often complained that the process in getting back their car is slow and frustrating. It gets worse if their car was stolen across the border. Many have lamented that they have to go to the Malaysia police station a few times to sort out paper work. Once you are done with the Police, be prepared to sit for another 6 to 8 weeks for the insurance company to complete their investigation. The immobiliser found in many luxury cars may not sufficiently protect your car. 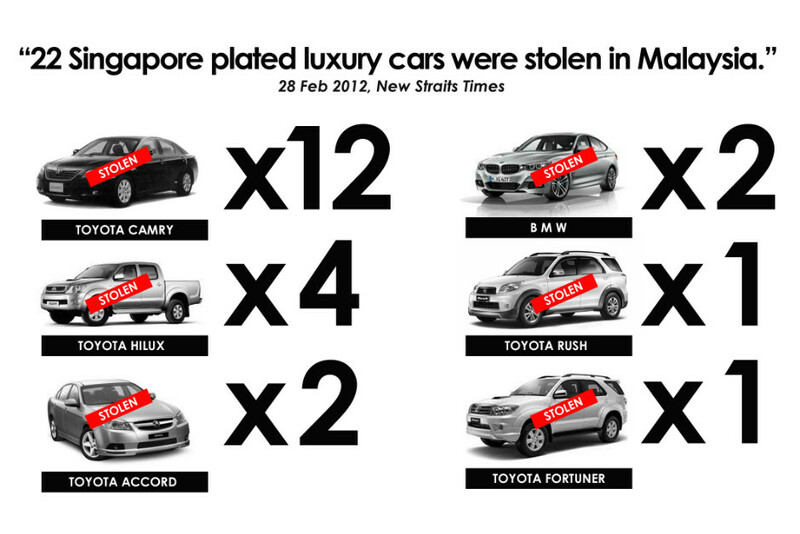 The graph above shows a report from New Straits Times (28 Feb 2012) which reported that "22 Singapore plated luxury cars were stolen in Malaysia. You can install the Silent Car Alarm. Should your car be stolen, you will automatically receive an alert (by SMS or email). Car owners can then track the car whereabouts real-time and stop the car. Alternatively, you can use the geofence capabilities to immediately notify you if your car is detected within 200m of causeway.